In spite of the dismal weather (NE wind and heavy rain showers), Derwent (Phase 3) at Dynamite Baits Makins Fishery produced carp all round the lake for anglers fishing the Thursday Kobra Affordable Open match, and had it not been for several big that were not landed weights would have been excellent..
Wykin AC ace Danny Ross took top weight from peg 5 with a carp catch of 53 lb 6 oz, all on pole fished pellet presented up in the water against the far bank reeds at 13m. 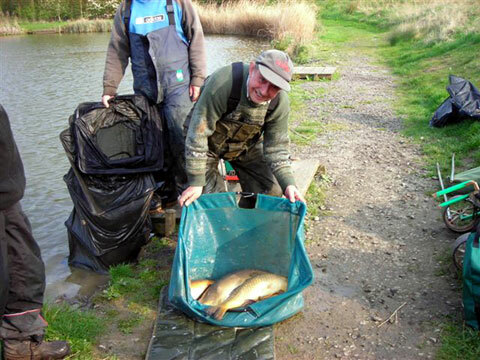 Second place fell to Long Eaton Victoria AS angler Dave Kent. 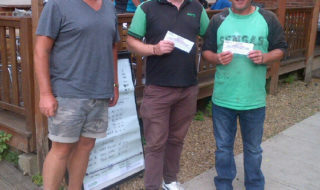 Fishing peg 29, although he lost several big fish, Dave landed a dozen carp for 45 lb 2 oz on margin fished luncheon meat. Charlie Thackrah (Wykin AC) took third with 36 lb 12 oz from peg 21 on pole fished paste, Oliver Preston fourth from peg 25 with 22 lb on corn. 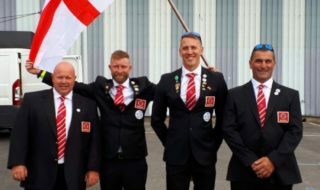 Next week’s Thursday Kobra Open match (23rd April) will be on Reptile and Crater Lakes on Phase 2 (Draw 10am in car park). A cold east wind had a detrimental effect on sport and many angflers found fish hard to come by on Lake 2 at Dynamite Baits Makins during the Wednesday Kobra Affordable Open. However, Ibstock Tackle’s Dave Causon had a day to remember with his first ever ‘ton weight’. Fishing peg A15, Dave started on method feeder in open water to catch a few carp in the first hour, before switching to casting his feeder to the margins towards peg A16. Baiting with pellet, Dave caught some good carp (to 16 lb 2 oz) to end with 165 lb 8 oz and a clear win. 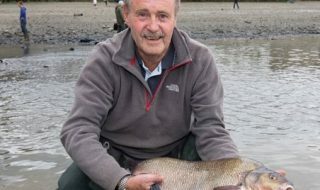 (Photograph attached showing Dave Causon with some of his bigger fish). The only other ‘ton’ weight was taken by Long Eaton angler John Adamson (Kobra Feeders), with 118 lb 4 oz from peg A20, fishing corn on the method feeder casting towards the boom. Charlie Shaw (Smart Baits) took 51 lb 8 oz for third from peg A4 on pellet waggler, Mick Timson (JK Tackle) in fourth with 49 lb 10 oz on method feeder from peg B23, John Varley (Higham Lane Fishery) fifth with 41 lb 14 oz from peg B17. NB. ‘Kobra Affordable’ Opens are at Dynamite Makins each Wednesday on Phase 1 and Thursday on Phase 2 or 3 (except 2nd Thursday monthly). Telephone 07749 284 823, or be in the Car Park by 9.45 a.m. (£15 all in at the draw).